Operation Round Up | Delta-Montrose Electric Assn. Operation Round Up is an easy and convenient way for DMEA members to make a real difference in their communities. Monthly electric bills of participating members are automatically rounded up to the nearest dollar, plus any additional amount they wish to designate. That money is deposited into the Operation Round Up fund. The DMEA Operation Round Up Charitable Trust distributes donations from that fund monthly based on need and community impact. The DMEA Operation Round Up Charitable Trust is made up of nine member-volunteers from across DMEA’s service territory. In 2014, a total of $57,000 was donated to nine non-profit organizations and worthwhile community projects and 217 member families in need. The DMEA Charitable Trust meets monthly on the 3rd Tuesday to review applications. The application deadline for each meeting is 5:00 p.m. on the Wednesday of the week prior to the meeting. Return your applications to DMEA’s Montrose office. 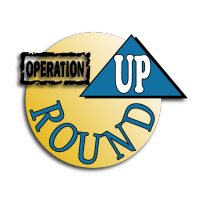 To sign your account up for Operation Round Up, click here. The Operation Round Charitable Trust is made up of member volunteers from across the service territory and is responsible for dispersing donations on the cooperatives behalf. Trustees serve three-year terms. Periodically, the Trust must fill vacancies due to term limits. The search for qualified candidates is ongoing. If you are interested in serving as an Operation Round Up Trustee download and complete the trustee nomination form. Q. Can I give more than the round up portion of my bill? A. The program allows you to round your monthly electric bill up to the nearest dollar. You also have the option of contributing more than your rounded up portion in any amount you wish. Q. Who decides where the money collected from Operation Round Up goes? A. A nine-member, volunteer board called the Delta-Montrose Electric Association Charitable Trust meets regularly, reviews applications and makes disbursements. Q. Who can serve on the trust board? A. Anyone who is at least 18 years of age, a permanent resident of the county from which he/she is chosen, of good moral character, and a member of DMEA, qualified to vote in the election for DMEA Board of Directors. Q. Are board members of the trust paid? A. No, they will be compensated for mileage and out-of-pocket expenses. Q. Who can apply for assistance to Operation Round Up? A. Individuals or groups residing within DMEA's service territory can apply using forms provided by DMEA. Completed forms can be returned to DMEA or to a trust board member. Q. Are there limits on the amounts awarded? A. Yes – no more than $2,500 annually to any individual or $10,000 annually to any group, organization or charity. By a vote of at least seven of the nine members, the trust may exceed these limits if they feel it’s in keeping with the purpose and spirit of the trust. Q. What if someone has an emergency (their house burns, for example) between trust meetings? A. The executive committee (officers), by a vote of at least three of its members, can make emergency expenditures of no more than $1,000 between regular meetings. Q. Will the trust be audited? A. Yes, at least annually. Q. What uses are specifically prohibited for Operation Round Up money? A. No funds of the trust can be used to support any candidate for political office or for any political purpose. Funds can be used to pay electric bills. However this is discouraged and allowable only in circumstances the trust considers critical need. Q. Can the trust borrow money? Q. If I participate, how much will I contribute? A. If you designate no money beyond what you "round up" to the nearest dollar, the average contribution will be about $.50 per month or about six dollars a year. Q. Are Operation Round Up donations tax-exempt? A. Yes, DMEA will notify you on both your January and February bills of your total contribution for the previous year. Q. What if I decide at a later date I want to withdraw from the program? A. You can withdraw at any time by notifying the cooperative by phone, in person, or in writing.